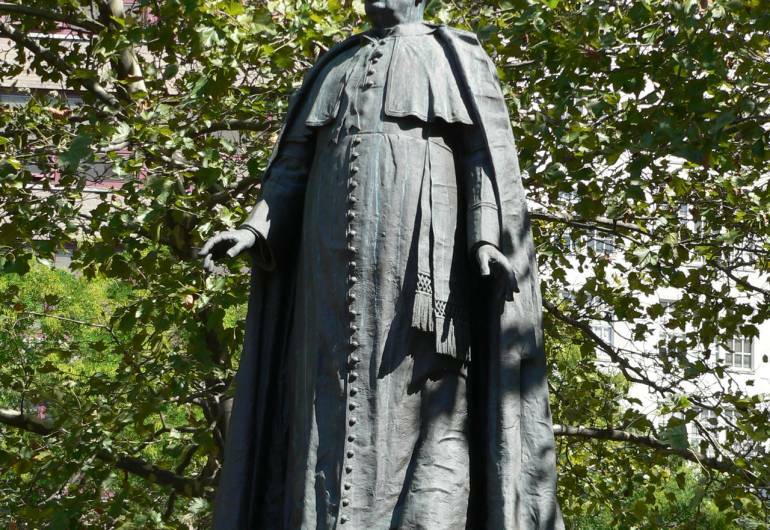 This Newark statues features Monsignor Doane, rector of St. Patrick's Pro-Cathedral, friend of the arts, champion for Newark, and servant of the poor. George Hobart Doane is located in a little 0.1 acre triangle of land north of Military Park officially called "Doane Park." 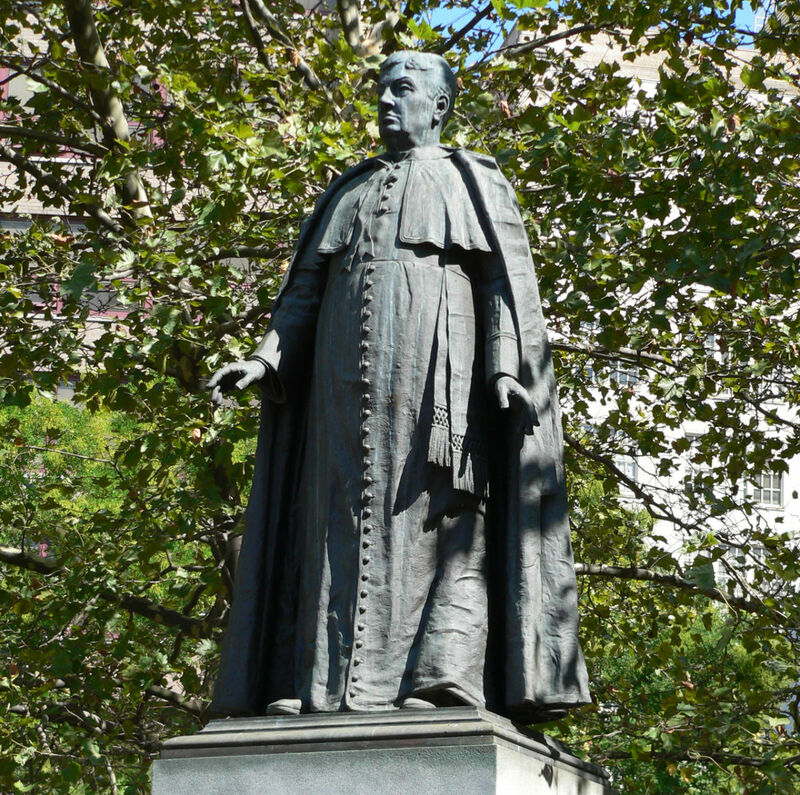 Appropriately he faces the St. Patrick's Pro-Cathedral he faithfully served for so many years.